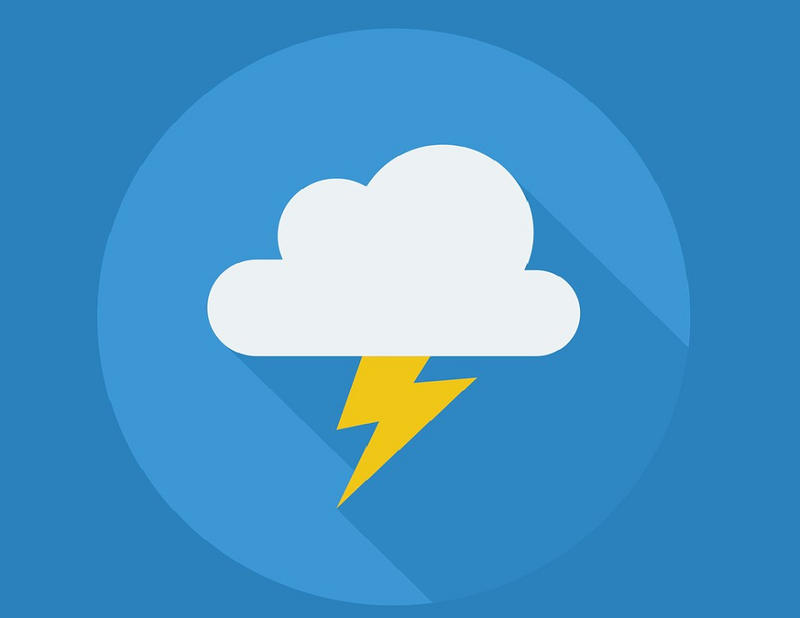 Lightning Experience was more limited than Salesforce Classic in many ways back in the first release (Winter 16), but we’re now in the fifth release of Lightning Experience. Most new features are being released exclusively for Lightning Experience and are not available in Salesforce Classic. With each new release, incentives to switch to Lightning Experience are piling up. If the button is used in a layout, but you’ve found out from your users that they never use it, you can move to Lightning Experience without providing an alternative for the button. If it does happen that some of your users need it, they can always switch back to Classic while you develop an alternative. This is a great use case for a Quick Action. To create a Quick Action for this scenario, create a new Quick Action for Opportunities. 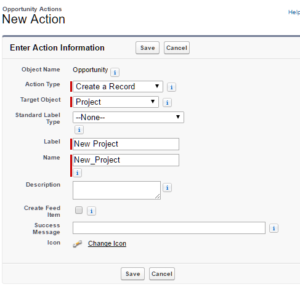 Choose the “Create a Record” Action Type and choose “Project” as the Target Object. 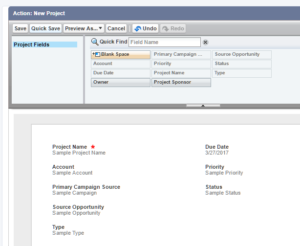 Next you’ll want to add, to the page layout for the action, any fields that the user should fill out when creating a new Project record, as well as any fields that should be pre-populated from information on the Opportunity. 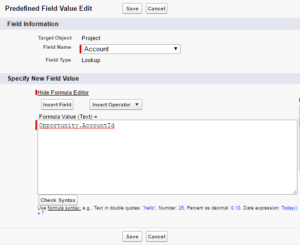 After you have set up the page layout, you can set up Predefined Field Values. 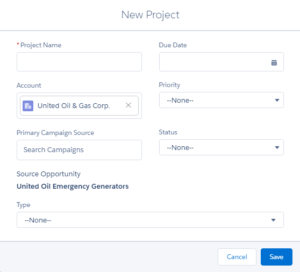 Now your new Project record will be automatically populated with the correct Account record when a user clicks on the New Project button on Opportunities (you’ll need to make the Quick Action available in the page layout to make the button available). If you need more advanced pre-population, for example, if you need to pre-populate the Primary Contact from the Opportunity into the Project Sponsor field on a new Project, you may need to look into a more advanced programmatic solution.